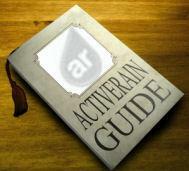 Your ActiveRain BLOG is not necessarily the best place to be marketing and advertising your goods or services to other ActiveRain members. Promoting and marketing yourself is great but is there a more effective and efficient way than using your Blog to do it? Maybe, but you'll never know if you don't try it or know about it right? One of my favorite quotes from Ardell DellaLoggia, another member here on ActiveRain: "Blogging is the show, not the commercial. If you make it into a commercial, then your readers will go get a sandwich, like they do when a commercial comes on T.V." Advertising on ActiveRain is easy and you can set it up yourself using the built-in Advertising feature. 1. Login to ActiveRain then click on the link located in the upper right corner of your screen. 3. To create a New Ad Campaign click the link to begin. 4. All you need to do now is add the proper URL or WEB address for your Ad and then a 125x125 image for your ad. Your image can be custom created using whatever graphics application you prefer, I use picnik.com to create some quick, easy, and free graphics with effects. If your credit card information is not on file, you'll need to enter that as well. 5. Once you're satisfied with your settings, click the button and you're DONE! Be sure you don't refresh your Browser screen or hit the back button at this point. Your Ad will now appear on many of the millions of pages located through-out the AR Community. The question you might have now is "how effective is this and will it work for me?" There are plenty of other people using this on ActiveRain, just click on any of the Ad campaigns you see on future pages while you're browsing around. Contact these companies or individuals to see if it's working for them? I'm sure they'll have no problem with you contacting them, and I'm certain they won't have a problem telling you if this is working for them or not.... I mean, why would they be continuing to do it if it wasn't? You can also try it yourself for 30 days then drop it like a bad habit if it doesn't work for you. Marketing and Advertising is changing the "face" of the WEB, are you getting the most from the "faces" seeing your ads?